We hold several one or two-day spiritual retreats on campus during the year, often with guest retreat leaders. Recent retreats include Christian Mysticism led by Fr. William Menninger, one of the monks who developed the meditative practice of Centering Prayer; and another on Contemplative Spirituality led by the Rev. Dr. Richard Peace, professor at Fuller Seminary. Each spring the women of St. A’s spend a weekend at a spiritual retreat center where guest retreat-leaders guide them through a weekend of contemplation, relaxation and spiritual exploration. 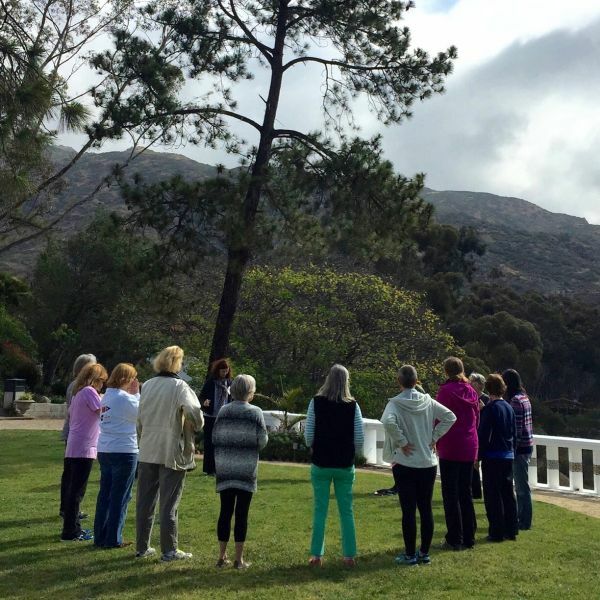 The women's retreat for 2019 is on Reclaiming the Feminine Divine and will be held at Serra Retreat in Malibu the weekend of February 22-24. For more information and to sign up, click here. Every October our families go to Camp Stevens Retreat Center in the mountains for a weekend of relaxation, fun and worship.